Struggling PC maker Acer is showing signs of recovery with its report of improved profits in the second quarter, albeit on a smaller revenue base than a year earlier. During the period, Acer’s net profit reached NT$485 million (US$16.2 million), up from a net loss of NT$343 million a year ago. It’s also a substantial improvement from the slim NT$1 million it earned in this year’s first quarter. Acer said on Thursday that its operating margins have grown to a three-year high of 0.81 percent. The company’s second quarter revenue of NT$81.3 billion was down 9 percent from a year ago, although the figure was six percent higher than in the first quarter. 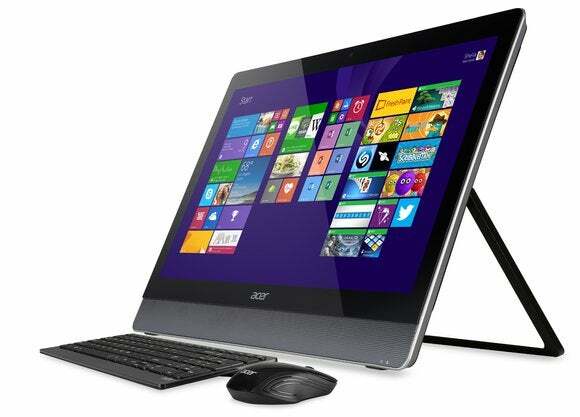 Acer is trying to mount a comeback after it was hit hard by declining PC sales, as users flocked to tablets. Last year, the company reported three consecutive quarters of net losses, prompting a reorganization. It brought in a new CEO and laid off 7 percent of its staff to trim costs. As it seeks to recover, Acer will still sell PCs, but it is focusing more on mobile devices and becoming a provider of cloud services. On Thursday, Acer said it is “optimistic” it can maintain financial growth on the approaching back-to-school season, and with new products set to arrive later this year.